Copper alloy nummus of House of Valentinian (364-378 AD). Copper alloy nummus of the House of Valentinian (AD 364-378), dating to AD 364-378 (Reece Period 19). Reverse: GLORIA ROMANORVM. 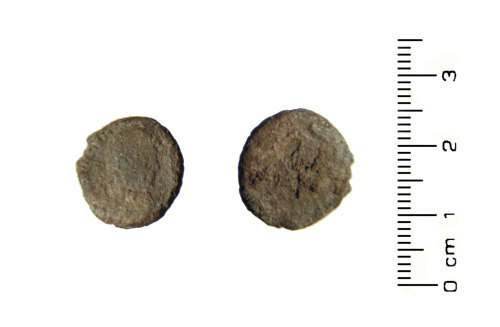 Mint of Arles.